Nigeria’s female contingents to the 2019 African Senior Wrestling Championships arrived Hammamet, Tunisia, venue of the tournament, on Thursday. 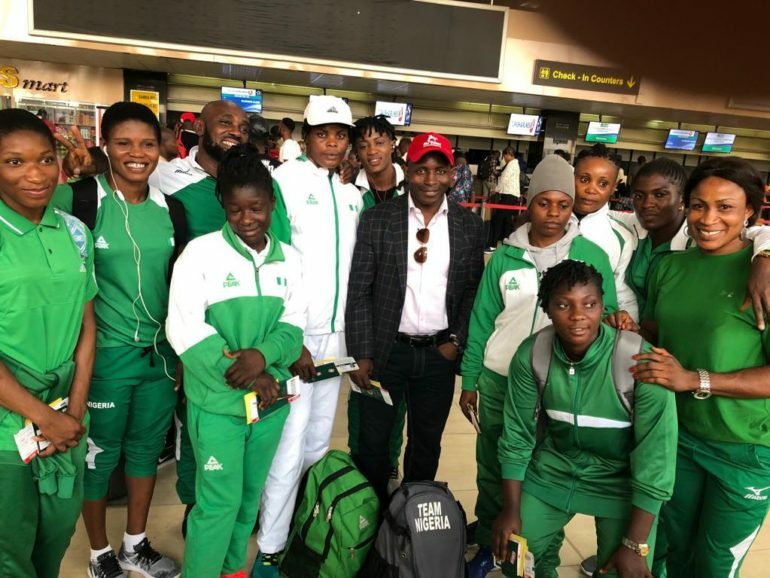 Reigning African champions Mercy Genesis, Sunmisola Balogun, Ifeoma Nwoye, Hannah Reuben as well as Rosemary Nweke, Blessing Onyebuchi and Esther Kolawole are also part of the delegation. Purity Akuh, the highly-rated female national team head coach completes the team. The second batch consisting of men wrestlers are expected to depart the Murtala Mohammed International Airport Lagos on Thursday night to team up with the rest on Friday. African champions Amas Daniel, Agiomor Ekerekeme and Emmanuel John lead the free style wrestlers; Welson Ebikewenimo, Emmanuel Nworie and Melvin Bibo are also part of the squad. The NWF Secretary General Almu Lambu will be leading the male delegation alongside coach Victor Kodei and Dr. Oyinbo Samson. Competition kick-starts with the female wrestlers on Saturday, March 29 while the male fights hold the following day. The 2019 African Senior Wrestling Championships started on March 26 and ends on March 31.